Hyundai has recently revealed a new concept car that showcases the Korean brands vision for a more luxurious generation of cars we could be expecting from them in the future. The ‘Vision G’ concept was unveiled last month at the Los Angeles County Museum of Art among masterpieces by Warhol and Pablo Picasso. The concept is undeniably elegant and eye catching and it seems this is the exact reaction that Hyundai are anticipating. According to Hyundai news, the designers created the car with chivalry in mind and wanted to find ‘elegance in simplicity’. The cars design is sleek and classy, with grooves flowing from the bonnet to the rear, giving it a dynamic look that appears to be in ‘constant motion’. The interior is a chic mix of light wood, chrome and white leather to make it elegant but understated. Its ‘chivalrous’ nature is displayed with doors that swing open at the touch of the handle, replicating the helping hand of a valet or doorman with no tip necessary. Under the hood, Hyundai sticks with what it knows and has included the award winning 5 litre TAU V8 engine that produces 420 horsepower at 6000rpm, putting it just behind the likes of the Mercedes S class which reaches 449 horsepower. With its impressive spec and striking design, this could be the concept that changes everything For Hyundai and pulls in car buyers who have stuck with premium brands such as Mercedes and Lexus for so long. It’s classic yet modern and if this is the image that Hyundai are aiming for, it seems to be working. The Vision G has ranked as one of the most attractive luxury coupes in recent years alongside the Audi Prologue concept. Hyundai have claimed that this new generation of more muscular and more luxurious vehicles is not merely a concept, but a step in a new direction for the brand to continue moving upmarket. 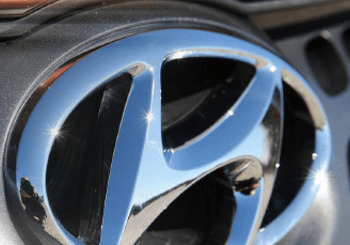 For more information on our Hyundai range and to keep up to date with Hyundai news, please come down and visit our Hyundai dealership or like us on Facebook to see the latest updates.